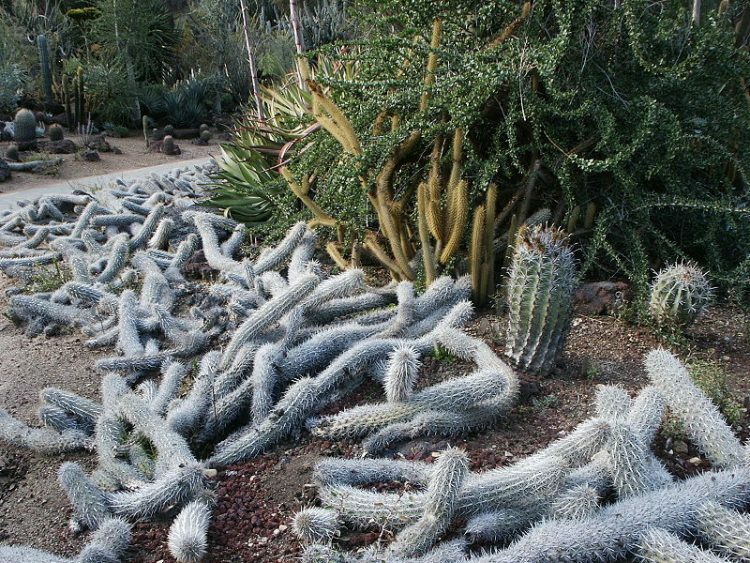 The Creeping Devil is a rare and fascinating species of cactus that is not only capable of cloning itself to survive, but also of detaching from its major shoot to move through the desert over time. Also known by its scientific name, Stenocereus eruca, this unusual species of cactus is endemic to the northwestern Mexican state of Baja California Sur, and is the only known moving cactus in the world. Unlike most other species of cactus, which typically grow vertically, toward the sky, the creeping devil is different – it lies flat on the ground with only its tip slightly raised. This plays a major role in the plant’s survival in isolation, but also in its unique capacity to migrate along the desert over long periods of time. In cool maritime climate of Baja California Sur, creeping devil cacti can grow at a rate of up to two feet per year, forming large, sometimes impenetrable colonies of thorny stems, but when transplanted to more arid climates, their growth rate drops to two feet per decade. But even in their endemic environment, these succulents are isolated from pollinators so they rely on self-cloning for survival. As it grows parallel to the ground, the stem of the creeping devil cactus will start to take roots toward their tip, and once it is solidly fixed into the sandy soil, the old body dies, rotting and eventually turning into nutrients that help the new stem grow. It is this process that also allows the cactus to creep through the desert over time. 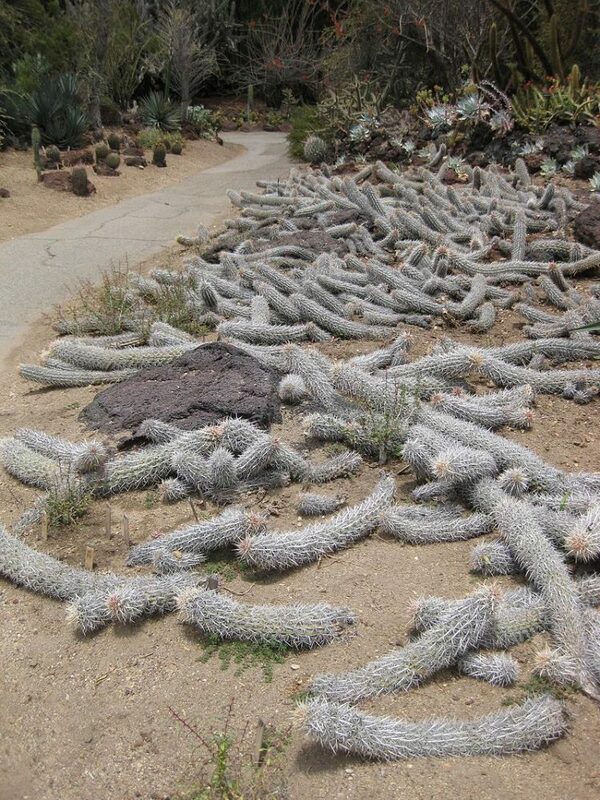 In a way, the cactus has to die in order to survive. The creeping cevil is one of the most fascinating plants in the world, but it is currently facing extinction. Because of its rarity, cactus aficionados will pay large sums of money to add it to their private succulent gardens. Alfredo Beltrán Morales, a researcher at Autonomous University of Baja California Sur (UABCS), told El Diario that a creeping devil stem can sell for $4,000 – $5,000 on the black market. But illegal trafficking is only one of the threats that this cactus faces. Because its thorny stems grow parallel to the ground, the creeping devil cactus can be a nuisance for grazing cattle, especially when they form impenetrable barriers, so farmers casually destroy entire colonies. Some also remove the cactus to prepare their land for agricultural crops. The creeping devil cactus is currently on Mexico’s list of endangered plants, and if things go on the way they have during the last few years, these incredible plants may not be moving across the sandy coast of Baja California Sur for much longer. If left alone, this cactus can live up to 100 years.